"This is a true Pennsylvania Dutch staple." To Make Crumbs: In a medium bowl, combine flour, brown sugar and shortening. Cut ingredients together with a pastry cutter or rub with fingers until dough forms fine crumbs. Set aside. To Make Filling: In a medium bowl, dissolve the baking soda in the boiling water. Stir in corn syrup, molasses, salt and egg being sure to stir well. Pour 1/3 of mixture into unbaked pie crust. Sprinkle 1/3 of the crumbs over mixture. Continue this process until crumb mixture and liquid mixture have been used up. Bake in preheated oven for 10 minutes, then lower oven temperature to 350 degrees F (175 degrees C) and bake for an additional 30 minutes. There crumbs are all used to top the pie in a real Pa. Dutch pie. They are not mixed with other ingredients. 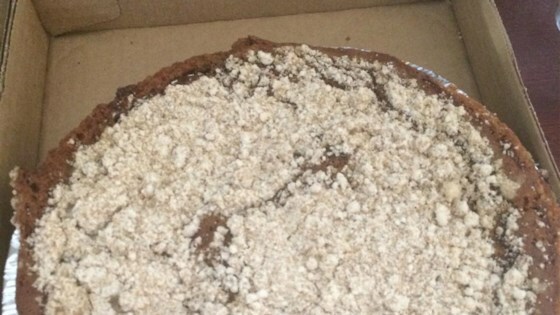 I've made numerous recipes for Shoofly Pie and this one was easy and turned out great! wonderful treat!! This tasted nothing like the shoofly pie I had in PA. I ended up throwing it in the trash.